THE SUCCESSFUL COMPLETION OF OUR MT KENYA SPONSORED WALK !!! And Chrissie’s report on the walk can be read here. Well done Isaac, you’re an amazing man!!! 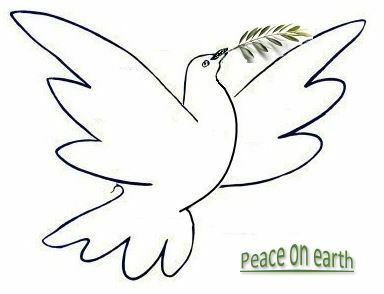 Welcome to the Peacemakers website. We have had some exciting news leading up to Christmas. 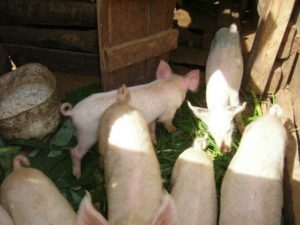 From all the letters we sent to companies and embassies requesting financial support for the future of Peacemakers, The Irish Embassy responded, visited our Resource Centre, and was so encouraged with what they saw, they pledged to sponsor us for around £5000.00 to purchase a greenhouse, a piggery etc. I also had news from Christine that our sow had given birth to six piglets, so the timing was perfect, a new family sty for them. It just didn’t end there, somebody had anonymously nominated us for The Good Samaritan award, which is a prize that is awarded every year in Nairobi. Peacemakers’ won it this year for the work we have done with the vulnerable over the year. Christine and three other Peacemakers’ were invited to dinner to the Kenya International Conference Centre and presented with the prize of around £1000.00. Such a blessing and a BIG thank you for all our friends who have sponsored so regularly for these vulnerable children’s education. This brought us into 2017 with great gusto to organise the ‘Walk’ that Isaac Gacugo has volunteered to do. He did suggest walking from Mombasa to Nairobi, but it was felt that this route was too dangerous so another route has been planned to start on 23rd January and our Chief for the Embu District will start him off from Embu Town. 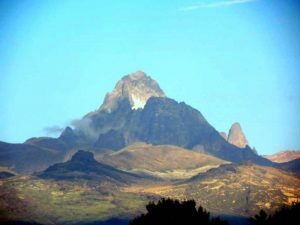 The walk will be across country for safety reasons around the foot hills of Mt Kenya and will take approximately 12 days staying overnight in arranged accommodation. Others will be walking with Isaac and giving out invitations to come to the opening of the Restaurant on 25th March 2017 and bring their sponsored money with them, while newcomers will join the walk at Karurumo to finish at our Resource Centre on 4th February. I’m sorry, but the change of date for the ‘Opening’ was unavoidable because there is so much to arrange and we were just running out of time. The last day of the walk on 4th February, will be re-walked again on 25th March to co-inside with the ‘Opening’. 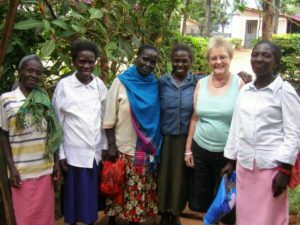 Joan Rushton is visiting Kenya again in early February and will be one of those people who will be joining the walk on the last day and has a few friends who are sponsoring her. Well done Joan. Helen and Molly are also visiting in February, Molly for the first time, but Helen has been several times before and works very hard in raising money for Peacemakers within her church members, groups and friends. Thank you Helen. Hundreds of letters have been distributed and I’ve been told that Ben Muriria who works for the President of Kenya will personally take a letter to the First Lady for us, so wouldn’t it be wonderful if she came along to the opening. Fanta from Kigumo will help with media coverage. Peter Wag will lend his bike (I don’t know who is riding this) and Christine will be driving ahead. Grace Kaurma, who is the Secretary and Trustee of Peacemakers in Kenya, is visiting her family who live in the UK and I’m taking the opportunity of spending some time with her. 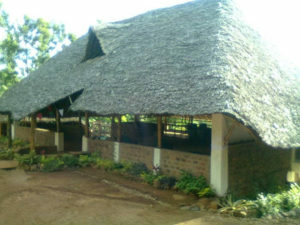 Grace has been the principal of a private girl’s school and is retired now. She has been involved with Peacemakers for 30 years + and maybe this is the time that Grace could be more involved in taking some responsibility in the Micro Enterprise projects. Grace is spending a week with me and I’m having a ‘At Home with Grace’ Wednesday afternoon 18th January. I know its short notice but it’s an informal time to meet Grace and have Tea and Cake with her. I know it’s a work day but do come if you can. What a remarkable year this has been. The 90th birthday of her majesty Queen Elizabeth. Was it God’s mercy on our nation with the Brexit vote? A new Prime minister and her government. Donald Trump President elect of USA; the political world is changing fast! The ongoing heart-breaking situation in Syria & Iraq and its consequences, not to mention the plight of so many suffering people in the world and in our own nation. Unfortunately, the root of all this is not born out of God’s love, although his name is often used! We can however make a difference, by our carrying an ‘Olive Branch’ to our friends and neighbours and to love our enemies as God has taught us to do. I’ve been amazed in the past, that nations who have been fighting and killing each other can have a ceasefire agreement over the Christmas period when we are celebrating the birth of Jesus “who is love” and then return to fighting again! Perhaps this year we can pray for a breakthrough, for peace to remain with God’s unconditional love.